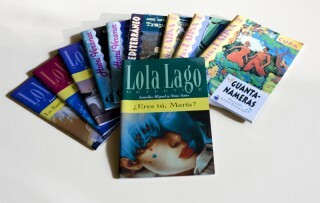 While many students like to back up their studies by reading children’s or adolescents’ books in Spanish, we would recommend the Difusion series from Prentice Hall. Their stories are specifically targeted to people learning the language, so the content is more sophisticated without being difficult. All of the books are graded by level, so it’s easy to find something that suits your current skills. Ask Patricia for advice on where to find them.